After facing each other on Wednesday, Mira Costa and Redondo will turn their attention to defeating frontrunner Palos Verdes in what has become a battle for the Bay League title. Mira Costa coach Jon Reichardt is optimistic his team will improve after being back in its own pool, spending the first part of the season at other facilities while theirs was being upgraded. PV (No. 11, Div 1) edged Mira Costa (No. 12, Div. 1) 10-9 in the first meeting between the squads. PV was led by Anthony D’ambra and Igor Uskokovic who each recorded three goals. Troy Gleason was the leading scorer for Mira Costa with three goals. 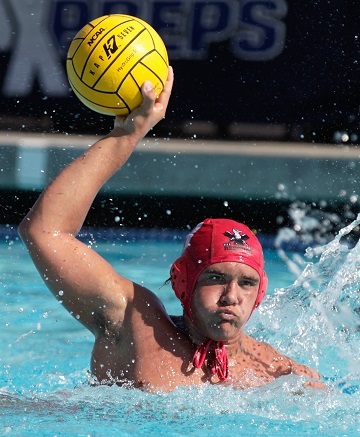 The Mustangs hope to rebound beginning with a home victory against Redondo (No. 7, Div. 3) today and a road win at Peninsula on Tuesday. Mira Costa will compete in the 16-team South Bay Tournament beginning Friday at Peninsula and Mira Costa high schools. The final will be at Palos Verdes on Saturday at 2 p.m. The four groups are: A – Palos Verdes, Santa Barbara, Montebello, Long Beach Millikan; B – Dos Pueblos, Agoura, Palisades, La Habra; C – Mira Costa, San Marcos, Arroyo Grande, El Segundo and D – Ventura, Damien, Santa Monica, Rancho Bernardo). Mira Costa will then play road games at Woodrow Wilson on Wednesday and Dana Hills (No. 13, Div. 1) Saturday, Oct. 13. Mira Costa has its rematch with PV at home on Thursday, Oct. 18. Redondo is constantly improving under first-year head coach Skyler Ulrich. Ulrich credits top players Alex Wrightsman, Logan Lewis, Gavin Pierce, Brad Vogelsang, and Ethan Igloi. The Sea Hawks took first place in the Long Beach Poly tournament and 11th at the competitive AFC tournament in Coronado. The tournaments sandwiched the Hank Vellekamp tournament which Ulrich said was a dicey one for the team. “It was a pivotal moment for the team where we got over some external drama facing the team and came back stronger,” Ulrich explained.